So MIWG.7306 is a metataxon between Brachiosaurus and Sauroposeidon. I'd say name it except for your second point, that named Wealden brachiosaurids are plentiful and once better material is described, some would near certainly be synonymized. Thanks for this series. Not just because it was a long love letter to my favorite animals, either. You did a very, very nice job of illustrating for your non-dinosaur-describing readers the process that fossils and paleontologists go through, from obscure discoveries through agonizingly slow publication to eventual misquotation in the media. Taken together, the four posts are probably the best "this is what real paleontology is like" sort of thing out there. Thanks to both of you for your comments, much appreciated. Response to Mickey: I agree that MIWG.7306 could be named as a metataxon, were it the only named brachiosaurid from the respective unit (the Wessex Formation). 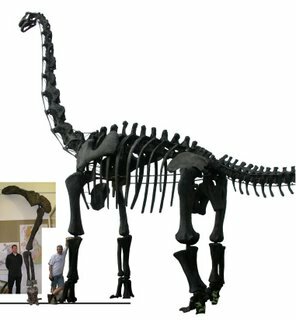 Incidentally, I should have mentioned somewhere that Wilson (2002) regarded Sauroposiedon as referable to Brachiosaurus which, if correct, would of course make MIWG.7306 a member of Brachiosaurus too. Wilson, J. A. 2002. 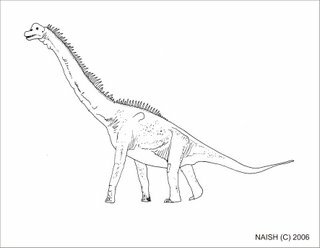 Sauropod dinosaur phylogeny: critique and cladistic analysis. Zoological Journal of the Linnean Society 136, 217-276. IIRC, he did not say this in the text. 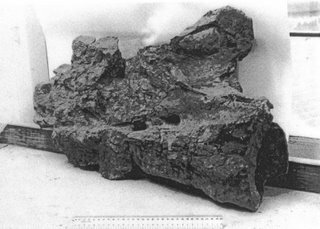 His Table 13 (p. 248) lists "Age, provenance, and taxonomic assignment of 57 fragmentary sauropods". I read 'clade' as meaning "smallest monophyletic group with which the fragmentary taxon shares characters". 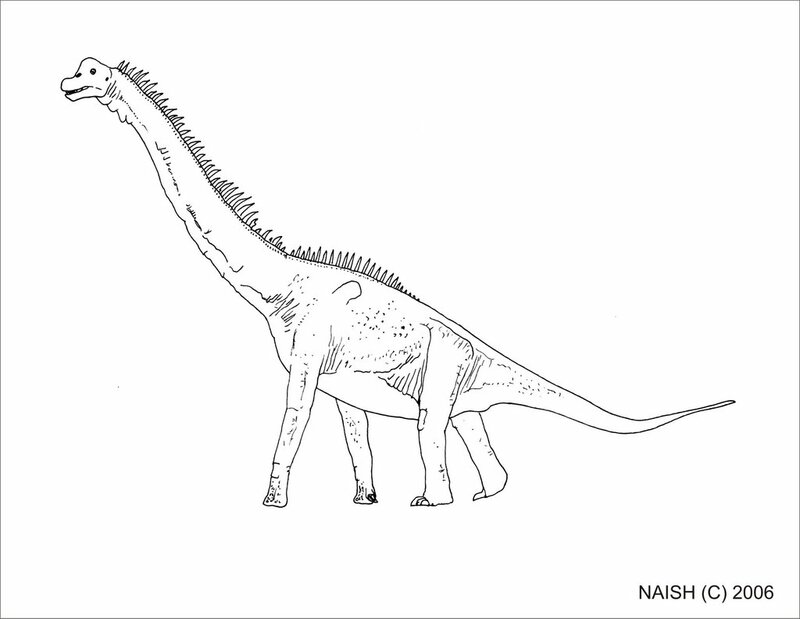 Since Brachiosaurus was the only brachiosaurid he included in the analysis, he could not list Brachiosauridae as a clade and have the table be congruent with the tree. So all of the brachiosaurids have Brachiosaurus listed as their clade, including Bothriospondylus madagascariensis, Cedarosaurus, Sauroposeidon and Venenosaurus. Some of these animals are quite different from Brachiosaurus (Sauroposeidon not least! ), and I don't believe Jeff intended to imply that they should all be sunk into Brachiosaurus. I think he just means that Brachiosaurus is the clade in the analysis with which they share the most characters. Other similar cases in the same table are Nigersaurus listed as the clade for Anatarctosaurus wichmannianus, and Nemegtosaurus listed as the clade for Quaesitosaurus. In his 2005 paper on Nemegtosaurus, Jeff discussed morphological differences between Q. and N. and left both genera standing. You could take that as tacit support for my interpretation that the table indicates closest relatives and not containing clades at low taxonomic levels. Or maybe he meant that the taxa listed above share characters that are autapomorphic for the listed genera in his analysis. I agree that it's somewhat confusing, but I don't think it was intended to be a statement about sink-able genera. I suppose we could just ask him. It's things like this that make me wonder whether I actually understand any of the stuff I read. Yes, I feel stupid for making such an amazing mistake.